"Our winners shed light on important issues and solve problems in their communities," said RTDNA Executive Director Mike Cavender. "We're proud to recognize their achievements." 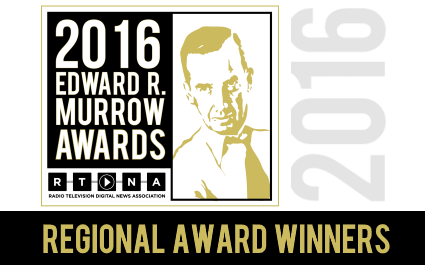 This year, RTDNA received over 4300 entries and awarded 654 regional Awards in 14 categories, including Overall Excellence, Breaking News, Investigative Reporting, and Website. Complete list of Award winners.